This is amazing! Thank you very much for putting this out there. As some one that wants to learn unity this is greatly appreciated to have premium content like this available to use. thanks you very much!The world is more and more beautiful because have so many people like you! sorry my english is bad.but i also want to say thanks for you! I did nothing for carrara. I don't provide free shader, just raw textures/maps. 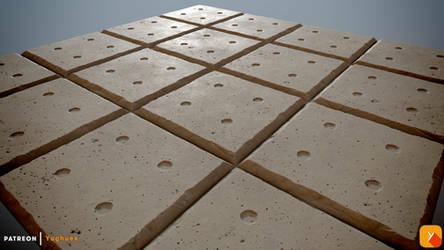 I use Blender 3D how can I employ the .mat files in you free packs of textures or are they strictly for 3DS usage?